Canby School District has elected to use Book King Software to Empower the Community of Tomorrow! The School District will be using Book King Software for their Public Access, Scheduling and Point of Sale needs. These three modules will work together to provide a satisfying Recreation Management process from start to finish. 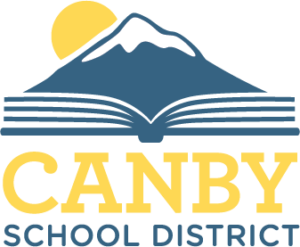 The Public Access module will ensure that students, teachers, parents and community members will be able to easily visit the Canby School District website to see what is happening within the facilities that the School District has available. The Scheduling module will allow easy to use facility bookings for customers and provide simple, intuitive software for staff to get the most out of their spaces. The Point of Sale Module will bring everything together and allow for a safe, convenient and secure way to pay for facility scheduling. Our training staff at Book King are looking forward to getting started with the Canby School District and are excited to provide the best training and support for our future generation. Welcome to the Book King Family! Canby School District serves 85 square miles in the heart of Clackamas County. The district educates approximately 5,000 students and provides educational services to diverse populations and geographic attendance areas. Canby School District has nine schools: Eccles, Knight, Lee and Trost Schools serve students in grades K-6; Carus serves rural K-6 students; Ninety-One serves rural K-8 students; Baker Prairie Middle Schools serve grades 7 & 8; and Canby High serves grades 9-12. Total student enrollment on June 18, 2014 was 4,712 students.